It’s easy: 40 ingredients; 20 dressings; mix it up! After choosing from the list of fresh ingredients, the ingredients are chopped up, dressed how you like it and then served in either a bowl or the trademark Zeppelin. The Zeppelin is not a sub or a wrap. 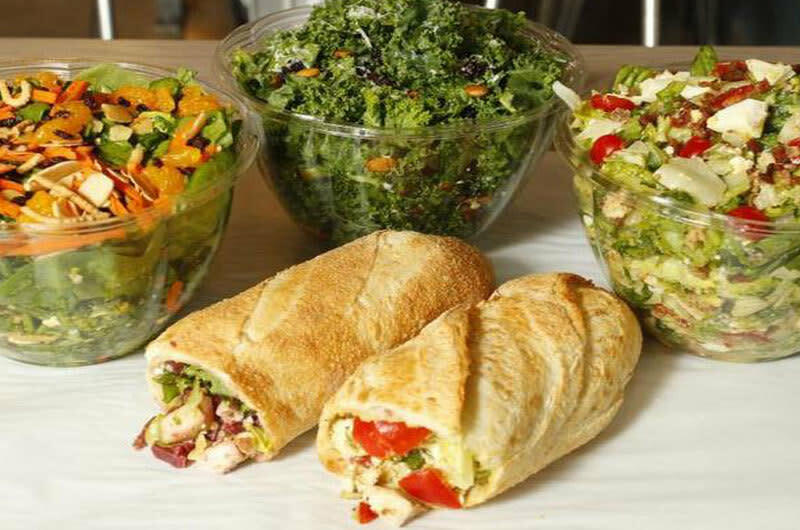 It is a customized chopped salad in a fresh baked artisan baguette, direct from an artisan bakery in Dallas. The baguette is “cored” (hollowed out) right before serving - fewer carbs without sacrificing the crunch!